Munich - Pep Guardiola was full of praise for his players following FC Bayern München's 2-0 win at Borussia Mönchengladbach, while Borussia Dortmund boss Jürgen Klopp felt Jakub Blaszczykowski's injury may well have played a role has his charges suffered yet another setback at the Signal Iduna Park. 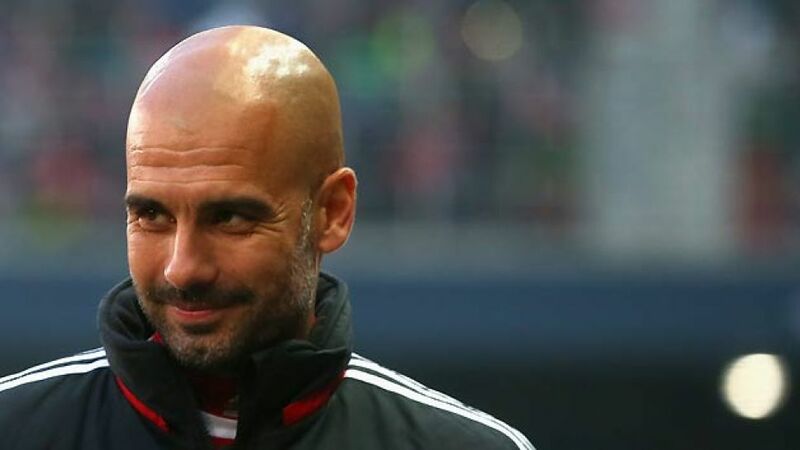 Pep Guardiola (FC Bayern): Congratulations to my team, we played well today. History shows that it isn't easy at all to win in Mönchengladbach. We learned from the mistakes we made last week [in a friendly defeat at FC Salzburg], which helped us take a big step in the right direction. We want to get another three points in our next game [on Wednesday at VfB Stuttgart]. Lucien Favre (Mönchengladbach): Bayern deserved to win. Their technical ability is outstanding. We didn't start well and Bayern were superior in just about every area, especially in midfield. We improved as the game went on, however. The post denied us a goal in the second half and, like Bayern, we had several chances to score on the break. I'm not sure how the game would've ended had we pulled one back. We've certainly had better games this season, but I wouldn't consider this a poor performance. Jürgen Klopp (Dortmund): We were struck by the early injury to Blaszczykowski. Obviously we went into the game with a lot of confidence but we lacked fluidity to overcome a strong, resilient opponent. Markus Weinzierl (Augsburg): I'm very happy, we were very strong mentally. We said to ourselves at half-time that anything was possible today, we just had to believe. We kept playing and eventually got our rewards. Bert van Marwijk (Hamburger SV): I keep being asked where we'll finish this season. Everyone should by now have realised we're fighting against the drop. Jens Keller (Schalke 04): We really missed [Klaas-Jan] Huntelaar, and having scored on his return after five and a half months on the sidelines it is clear why. Just having him on the pitch helps us a lot. Christian Streich (Freiburg): We're used to conceding early this season, so seeing Leverkusen take the lead three and a half minutes in wasn't a shock. However, we were the luckier of the two sides today. We competed on an even footing with Leverkusen thanks to a passionate display. We gave it our all. We wouldn't have been able to put in such a performance at the end of last year, yet we still have a long way to go. Sami Hyypiä (Leverkusen): We did okay in the first half, but then began losing possession too quickly. Freiburg hit us on the break a lot and they were very dangerous. We tried as hard as we could, but it wasn't to be. Armin Veh (Frankfurt): It was a tough game for us. It may have been an ugly victory but that doesn't make it any less important in our fight against the drop. Jos Luhukay (Hertha): It was one of those games that had goalless draw written all over it, but we didn't do a good enough job on Alex Meier [the goalscorer]. We'll bounce back, though. Robin Dutt (Bremen): We didn't do enough to win today. We started quite well but suffered a dip after about 60 minutes. Torsten Lieberknecht (Braunschweig): We're satisfied with the point. It keeps our hopes of staying in the league alive, we're still in the thick of things. It was very important to not concede today.